The bright and bold flavors of Thailand come together in this delicious meatball recipe from cookbook author and meat connoisseur Bruce Aidells. 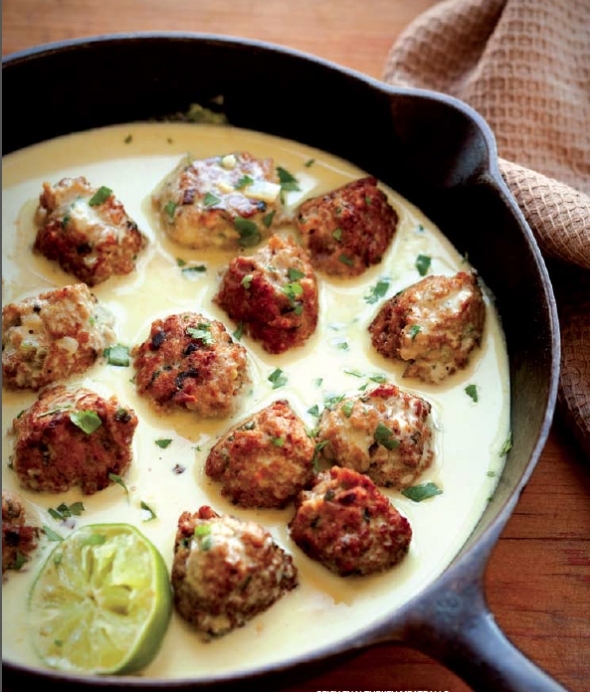 These turkey meatballs are simply bursting with flavor and they're easy to make any night of the week. Fry them up and serve with an Asian dipping sauce (recipe provided), or add a little green curry with coconut milk (as shown in photo), simmer, and serve over jasmine rice. It's a tasty meal the whole family will enjoy!